CLICK ﻿﻿﻿HERE ﻿﻿﻿﻿to get ﻿﻿﻿﻿﻿﻿﻿﻿﻿﻿Allistair's﻿ book: Champion Minded! Allistair is a coach, author, speaker, and founder of The McCaw Method. 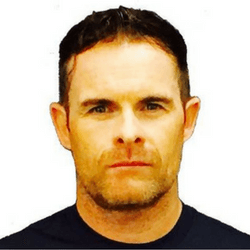 He is an internationally recognized leader in the field of athlete performance enhancement. The McCaw Method has set the standard for providing world-class athletes and coaches with cutting-edge techniques and strategies. Allistair currently trains world ATP #8 Kevin Anderson, and has trained numerous professional tennis players, including Dinara Safina (former world #1), Svetlana Kuznetsova (US Open and French Open Champion), Xavier Malisse (world #19), and Monica Puig (gold medalist and world #32).